Do you hesitate to read a book by your favorite author when it gets bad or lackluster reviews? My answer to this question is No. In general, I don’t get deterred by bad reviews, not only when it comes to a book by a favorite author of mine, but also when I pick up books by authors that are new to me. Sure, I may start reading them with a critical eye, but then I like making up my own mind. I’m the kind of person that likes experiencing things first hand. I like going to the source myself and see how things really look like. And this is my attitude also towards books. Furthermore, reviews are subjective in their very nature. I may love a book that someone else hates or can’t even stand, and that’s the beauty of literature, I believe. There’s no “you have to like this” condition; on the contrary people can say their opinion and offer their own interpretation. What about you? Do you pass on a book by your favorite author, when it receives bad reviews? 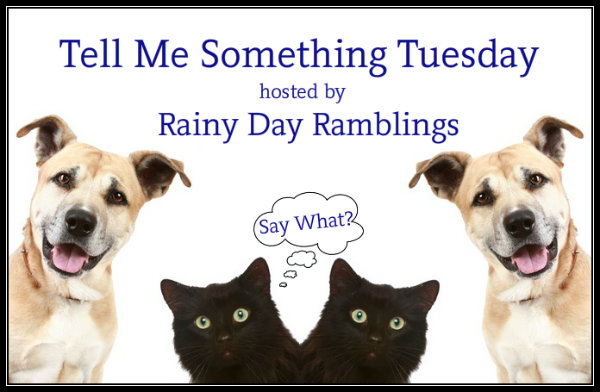 This entry was posted in Books, Favorite Authors and tagged Books, favorite authors, Tell Me Something Tuesday. No will read it anyway. Everyone will read a book differently, everyone can have there own opion. That’s the great thing about books. I completely agree with you! If it is author I am already familiar with and love his book, I would not hesitate to read it even if it had majority of bad reviews.